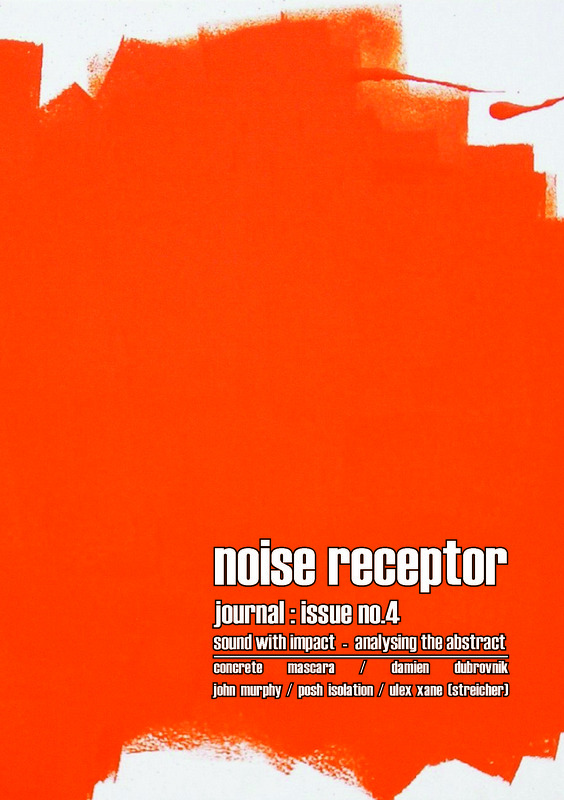 PRE-ORDERS for issue no.4 of noise receptor journal can now be made. Print proof approved this morning so out in about a week. Also I expect the ‘usual suspects’ will be stocking copies internationally. Note: no questions will be answers in the next 5 days as I am moving house.